Developer Hidetaka Suehiro, better known to fans as Swery65, is turning to his fanbase yet again to fund his first game from his new studio, White Owls Inc., The Good Life. The game is launching another crowdfunding campaign on Kickstarter after its previous Fig-hosted campaign failed to meet its target goal of $1.5 million. Last year’s Fig campaign only raised $682,864. The decision to move the campaign to Kickstarter comes after months of reassessment following the Fig failure. “We exhaustively analyzed and re-examined our campaign and initial plane, and made many critical adjustments,” said Swery. The difference in attitude between Fig and Kickstarter could impact the cult figure’s ability to raise money. Fig frames contributions as investments that could produce a return as opposed to Kickstarter’s more relaxed attitude. Removing the fear of a niche title’s ability to produce a substantial return for investors should allow for the large fanbase Swery has cultivated over the last decade to be more willing to toss some cash at the project. He has also taken the time between campaigns to evaluate changes to the game itself. “We decided to turn our temporary setback into a chance to make The Good Life better,” said Swery. The Good Life is still a bit of mystery, but the game will tell the story of a New York photographer that moves to a small, quirky English village, although the town isn’t all that it seems. There’s a murder to solve, a wide array of odd villagers to get to know and players will have to keep working to make money to pay their debt in order to return to New York. Oh, also, the people in the village turn into cats and dogs at night. 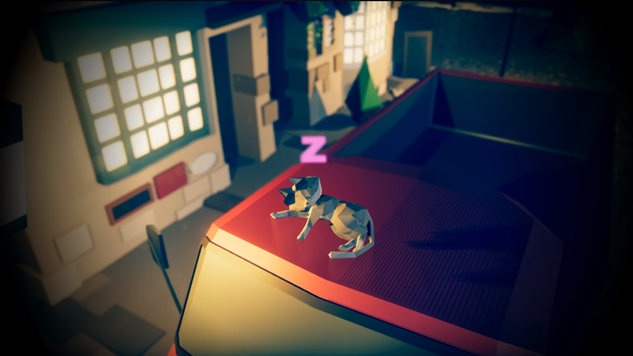 The title is Swery’s first project since returning from an extended absence from the development community due to health issues, and appears to fall in line with his other charmingly odd games, Deadly Premonition and D4. The Kickstarter campaign is set to launch sometime in March.